Team Leader in Wins. Broke school record and tied Shore Conference record for career wins with 158. Senior Kyle Slendorn closed out his high school career with his 2nd consecutive 2nd-Place finish in Atlantic City. Slendorn finishes as the all-time wins leader at Howell with 158 career victories, which also matches the all-time high in Shore Conference history. In addition to his two State Medals, Slendorn was a 4-time State Qualifier, a Region Champion in 2017, and a 4-time District Champion. Fellow senior Jerry Lleshi also reached the podium for Howell, placing 8th at 113-pounds in his first trip to AC. He ends his career with 70 wins. Also placing for the Rebels was sophomore Shane Reitsma, who finished 6th at 170 in his 2nd trip to the boardwalk. Among the seasons that ended in AC were those of seniors Scott Prendergast and Daniel Esposito. Prendergast, in his first year as a starter, punched a ticket to AC on the heels of a 2nd Place finish in the Districts, and a 4th Place finish in the Regions. For Esposito, it ends a career that saw him earn 110 victories, qualify for States twice, and win two District Titles. 2/24: Diedrich & Murphy Win Region Titles; Howell Advances Program Record Nine To AC! 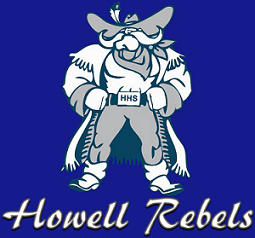 220: Anthony Sammarco (H) p.
113: Ethan Liptzin (H) p.
I seem to start my Howell previews off the same way every year by stating, "While the Rebels lost some key starters to graduation, make no mistake, they are still loaded." Well, 2018, and it's the same story. The talent and depth here is overwhelming. In fact, you could argue that with this much depth, a Howell vs. Howell intra-squad matchup would probably move a lot of tickets at the door. Diedrich vs. Rada. Slendorn vs. Esposito. Kelly vs. Richard. Reitsma vs. Murphy. Liptzin vs. Liptzin. Well, you get the point. We'll just start from the bottom, where Jesse Liptzin is back at 106. 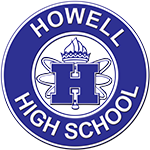 I mention frequently about the advantages of having an experienced senior down at that weight, and having Liptzin there is just another big plus for the Howell lineup. Also expect to see seniors Eli Orford, who got a ton of time in last season, Alex Brandl, and Jerry Lleshi, a talented transfer from Colts Neck, as well as sophomore Ethan Liptzin and freshman Kyle Nase among the names seeing plenty of time down here. Depending on how things play out, the Rebels can come at you with five consecutive State qualifiers in the five weights from 126-152. Yikes! The big name in that stretch would have to be senior Kyle Slendorn. The State runner-up at 126 last season, Slendorn enters the season with 116 career wins, which puts him 23 away from breaking the school record, and 43 away from the all-time Shore Conference record. Junior Darby Diedrich, a 2-time District Champ, a returning Region Champ, and a 7th place finisher in NJ last season, has amassed 77 wins in his first two seasons. Sophomore Luke Rada is coming off an outstanding rookie season that saw him punch a ticket to AC with a 4th place finish in the Region at 113. Senior Dan Esposito, a 37-bout winner, was the Region runner-up at 132, and was two wins away from a medal in AC. The run concludes with junior Xavier Kelly, who made it all the way to Boardwalk Hall in his first year of varsity wrestling. As we hit 160-182, there is zero let up. Shane Reitsma had an absolute monster freshman campaign, going 41-2 with his only losses coming in Atlantic City, where he was just one win shy of a spot on the podium. Junior Christian Murphy was another State-qualifier, winning 36 matches to go along with a District title and a 3rd place finish in the Region. Evan Richard is another returning starter and returns after winning 25 matches and placing 2nd in the District and 6th in the Region. There is tremendous depth here, as well, with junior Jake Nase, and seniors Pat Anderson, Rashuan Hansford, and Chris DeMarco among the names that expect to see plenty of time in the lineup and give coach Gagliano the ability to make some lineup moves when needed. If there are any in-house challenges at all with the lineup, it's that the Rebels must replace the departed Eric Keosseian, the State Champ at 220 last season, and Jake Nash, a District Champ at heavyweight. Among the candidates to get the chance to claim those spots will be seniors Mike Venetos and Scott Pendergrast, and possibly junior Joe Sardina, who could bump up when the Rebels choose to use their depth in that 160-182 range. As usual, the Rebels are the team to beat in A-North. They've claimed at least a share of the title for 12 consecutive seasons, and will be a heavy favorite to make it 13 years. Looking ahead to February's Team States, things get pretty interesting. The Rebels won their 3rd Sectional Title in 2017, and advanced to the Group 5 Finals where they won an epic match against Hunterdon Central for their first ever State Title. This season, Howell has been moved from SJG5 into CJG5, a section that includes... Hunterdon Central. Interestingly enough, Hunterdon Central is also on the regular season schedule as part of a home quad with Kittatinny and West Deptford. Other big dates on the schedule include Middletown North, Jackson Memorial, South Plainfield, Piscataway, and Egg Harbor Twp. Individually, the resumes of the talent here speak for themselves, so there's little point in stating the obvious. You name the individual tournament, and the Rebels are going to be well represented. Another big year certainly looming on the horizon for Howell.